Free lunch! Well, sort of free lunch. We had to spend a lot to get it, but didn’t have to buy anything we wouldn’t have anyway. But why am I telling you that? You know how credit card rewards work. 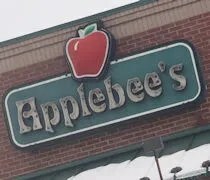 So, we had some errands to run after J got home from work and just last Friday, we got a $25 Applebee’s gift card as a points reward from one of our credit cards. Before heading to the mall, we headed to lunch. 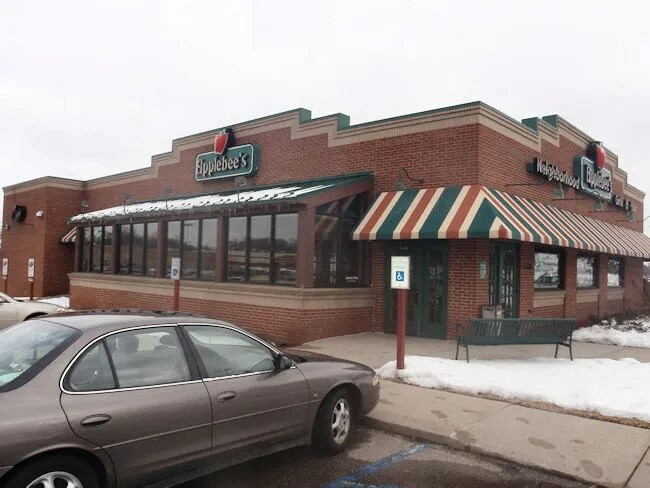 There are two Applebee’s locations in Kalamazoo. We chose the one on West Main Street in Oshtemo Township. The other is on Gull Road on the east side of town. J was home a little earlier than normal, so we actually walked in to the restaurant at a normal lunch time. We were met by a waitress who took us to a booth just on the other side of the bar area. It was a few minutes later before our actual waitress actually came over to take drink orders. We both got Pepsi’s and figured we’d be ready to order when she got back. We didn’t actually realize it was going to be ten minutes before she got back with two soft drinks. The restaurant wasn’t really busy and it was lunch time. I would have been worried if we had been on a lunch break or something because there’s no way we would have made it back. When the waitress did finally come back, we had been ready to order for several minutes. J decided to go with the Bottomless Soup, Salad, and Bread. 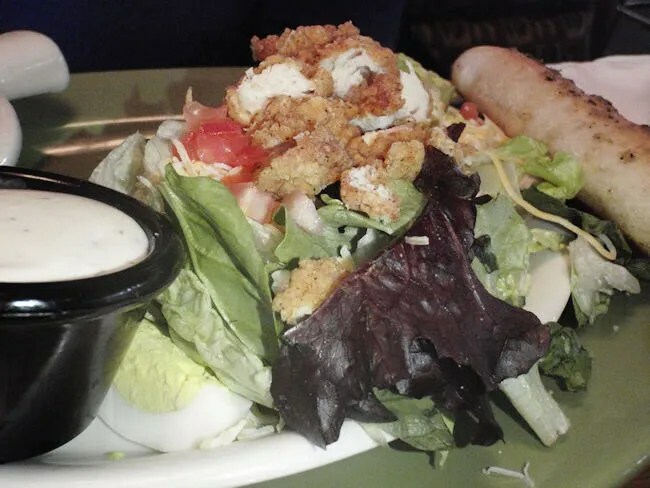 She picked the Fried Chicken Salad that came with breaded chicken, jack-cheddar cheese, tomatoes and eggs. The dressing that is supposed to come with the salad is a creamy dijon honey mustard, but she asked for a low-fat ranch instead. 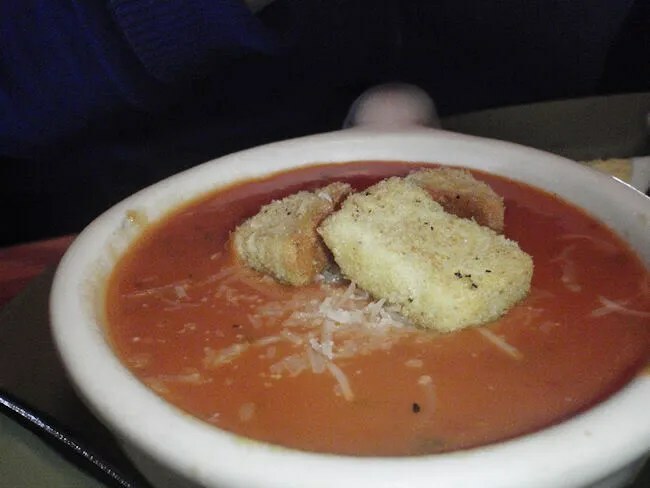 For the soup, she went with a tomato basil that came with a couple croutons floating on top. The soup and salad were served together as an entree. The salad is probably half of the half size order, but it actually turned out to be a pretty good portion size. She said the salad was delicious and liked having the bread stick to dip in her soup. She considered asking for more salad, but was afraid of how long it would actually take to get it. Our waitress disappeared again for a long time during the meal so she didn’t know how long it would actually take to get another portion of the salad. I stuck with a burger. The Fire Pit Bacon Burger is the sandwich that stuck out to me. 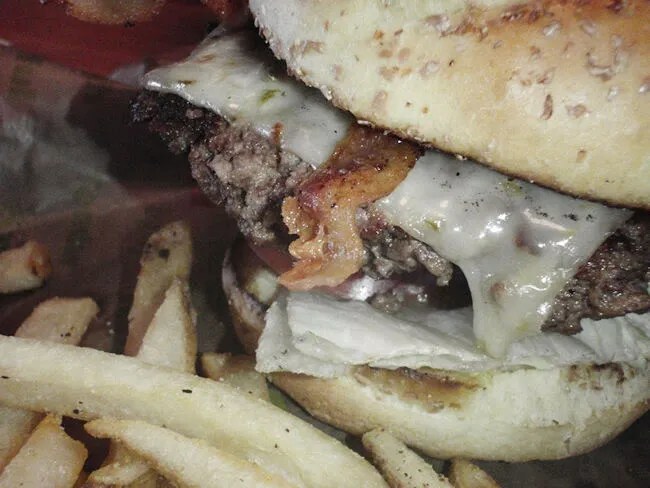 The burger is topped with pepper-jack cheese, Applewood smoked bacon, a smokey chipotle spread, lettuce, tomato, and onion served on a toasted bun. The big chains like Applebee’s don’t really give you an option of how you want burgers cooked. Instead of asking a normal temperature, I was asked if I want a little pink in the middle or no pink in the middle. I went with a little pink in the middle, but it was still cooked a little bit farther than I would have preferred. It was still very good. The bacon was nice and crunchy with a great smokey flavor and the pepper jack cheese added just a little bit of heat. I got fries as my side and they were delicious, but very salty. That wouldn’t have been an issue if I could have gotten my drink refilled at some point during the meal…but that didn’t happen. We did finish off the meal by ordering a brownie bite which is just enough for one person. J shared a few bites with me, but she was the one that wanted it. It was just a small brownie with chocolate sauce and a small scoop of ice cream. Our bill was a little over $23 and we both left feeling good about what we ate. The meal took a long time though. We weren’t in a hurry, so not an issue, but I would expect lunch to take less than a half hour. Our food did come out pretty quickly, it just took a little longer than I would have expected for lunch.